i grew up listening to all his music i loved him i’m 21 and he still is my all time favorite artist and i don’t even like rap but i wish all the happiness to him and his baby but her she needs to stop trying to make something out of heaving a baby from a rapper because every one knows they have business to take care of and she does want her baby to have everything well she needs to stop posting pics of him and the baby and worry about being a mom and not trying to make him look bad just because he don’t want her no more that’s a boogi bit..
I’m proud that Bow’s lil girl has matured him. This is his chance to become a better man so that he could spend the precious moments with her. Idk the baby’s name, but she’s lucky to have a father that’s willing to take care of her. 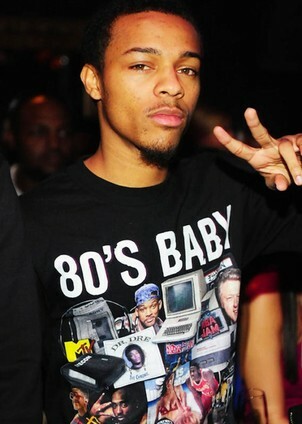 Good Job, Bow Wow. I would love to have a baby for an artist who doesn’t have the time for a relationship but still wants a child. If you know of anyone please email me. He has always been on my tapes, cd’s mp3’s and now ipod. Im 23 and still remember havn the biggest crush on him,u know corn rows n all lol. i grew up listening to all his music i loved him.he still is my all time favorite artist.I’m proud that Bow’s lil girl has matured him. This is his chance to become a better man so that he could spend the precious moments with her. she’s lucky to have a father that’s willing to take care of her.